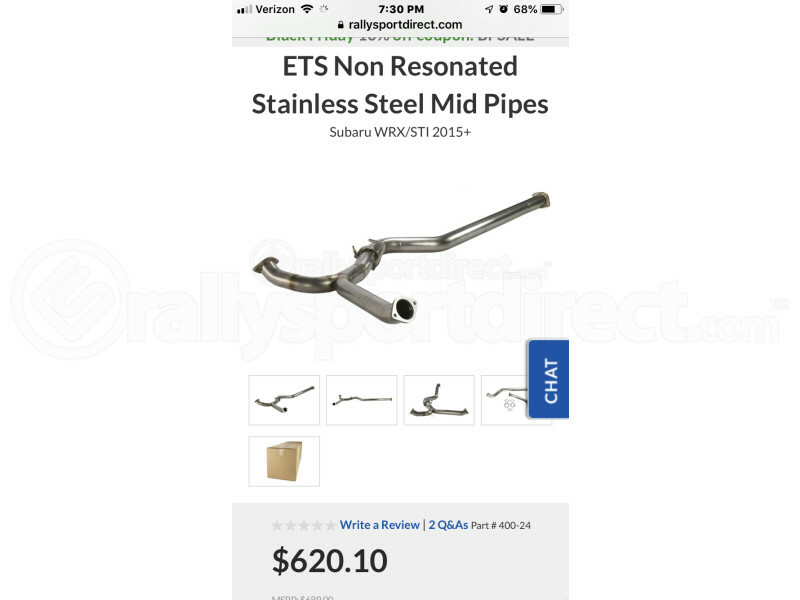 The ETS Axle Back Exhaust System has been designed to eliminate the factory muffler to provide optimal weight savings with an aggressive sound under full throttle. Included are a pair of 2.5" pipes that lead to quad 3.5" double wall tips. This exhaust system has been fabricated from stainless steel, and installation is considered to be pretty simple once the factory muffler is removed. This particular exhaust system will come with titanium tips, and all the necessary gaskets and hardware are included to make for a ready installation. I received my ETS Axle back on Friday. Installed it today(07/07/18) it took maybe 45 minutes and that's because the beast of a stock muffler was hard to remove. I read multiple reviews on other sites that say it's too loud or they didn't like the drone... I love the sound. I had a 2011 WRX with an SPT exhaust and that was worse than this. I highly recommend the ETS! Welds are great, all parts were included, fitment is perfect, and it was easy to install.